Have you ever wondered how big a difference one small act of kindness could make? Are you aware of how your actions affect those around you? Can you be intentionally thoughtful? 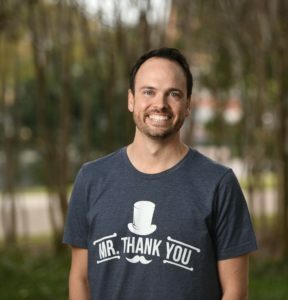 In this podcast episode, Joe Sanok speaks with John Israel who is also known as Mr Thank You about how and why he wrote 5 thank you cards a day, for a year. John Israel, aka Mr. Thank You, is on a mission to elevate the level of gratitude on the planet by 1% by inspiring 74 million Thank You cards written all over the world. In October of 2016, John kicked it off by writing 5 Thank You cards a day, every day for 365 days. This mission transformed his life, family, community and business. His story has been featured on ABC news, Fox News, PopSugar.com, MarthaStewart.com, and Good Morning America. Professionally, John is a corporate gifting consultant, where he helps companies and businesses retain clients and appreciate referral partners through high quality gifts. 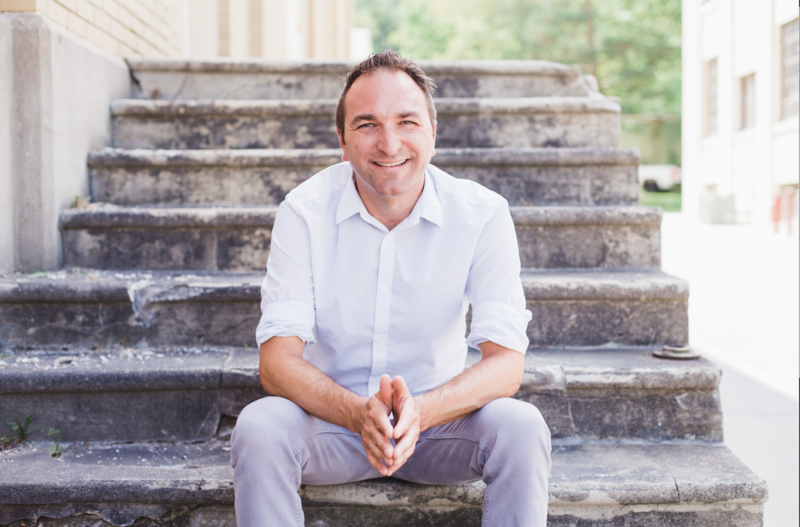 John now speaks at business and organizational conferences where he shares his story and inspires people to make gratitude a habit in their lives. John worked in the corporate gifting industry as a ‘gratitude salesman’. Furthermore he found himself in a position where he was successful in business but his family life was going through many changes – John and his wife were expecting a second child, they had just bought their first home, his wife decided to become a stay at home mom and John became the sole provider for his family. Consequently he started feeling the pressure and felt very stressed out and unhappy. 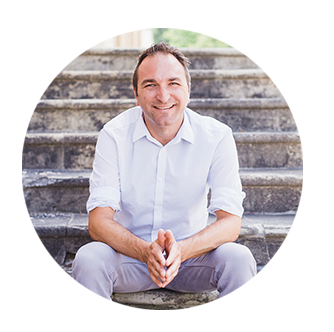 John set out on a mission to find his ‘why’ after listening to Simon Sinek’s ‘Start With Why’. In this episode Joe speaks with John about how and why he wrote 5 thank you cards a day, for a year. Once John found out his ‘why’, he thought about elevating his level of gratitude on the planet and how he would go about doing it. He delves further into his experiences and positive life changing moments which transformed not only his life but those around him too. Anytime you make a big commitment in your life an adventure happens. John remembered a time where his wife was writing thank you cards and saw how much of a positive impact it had on her and their community, he decided to do the same. He committed to writing 5 thank you cards a day for 365 consecutive days, to see how this would impact his life. Gratitude is the emotion you feel when you receive a gift or experience something as a gift. As John’s journey kicked off he realized that in order for him to write these thank you cards he would have to find some good in people. On day 3 he also had to acknowledge people he didn’t know. John had to think about what it may be like to be this stranger and the struggles they were facing. He wrote cards to pilots on this day, acknowledging the sacrifice they were making in order to do their jobs. As a result of this he received a message from one of these pilots saying that in all his years of flying, nobody has ever thanked him for doing his job and acknowledged all the time they spend away from their families. So this got John to think that if everyone just made the effort to find some good in people and acknowledge the difficulties others go through, there would be a lot of positive change. What people value more than money is being seen, valued and understood. Really know your story and know how to craft it in a manner that people are inspired by it. 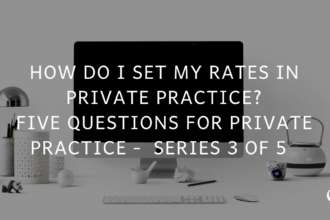 This is the Practice of the Practice podcast with Joe Sanok – Session Number 315. [JOE] That number – 315. That is the number that almost more than almost any number that just stands out my heart. I’m Joe Sanok. This is the Practice of the Practice podcast. We are live here in the Radio Center 2 Building. When I was in undergrad and grad school, I live at a place on 315 West Walnut Street in Kalamazoo, Michigan and it was this huge old house we each paid a hundred and twenty dollars per month for rent. We had painted each room. Mine was the jungle room. I painted it like a jungle and all of these like Indian tapestries hanging from the ceiling with little fake plants and stuff. I actually had a band that’s name was Second Floor Jungle. We would host the most creative fun parties. This one New Year, we got probably twenty or so aluminum foil rolls to cover the entire main floor of our house in aluminum foil. We had a superhero and villain party where if you didn’t dress up as a superhero or villain then you had to pay money. Otherwise, you get to come for free. We had an addict of computers that were just leftovers from the previous tenants and we built a fake supercomputer on the main floor there so it looked like a layer that superheroes would hang out. And it was awesome. So 315 was a place of creativity, of friends, of guys that I am still so close with. You know, just so many creative people. Recently, we just lost one of our friends, Christopher Darling who was an amazing artist. He did an album and t-shirts for the band Cake. It’s such a loss for our friends. So, I have a lot of gratitude for that community from 315. And for this episode, to have it be number 315 is just really special because in the show today we have John Israel that I met at TEDx when I spoke there. And he is the Mr. Thank You. He did the Mr. Thank You project. You will hear more of that soon. He wrote five thank you notes every single day for a year. And he shares stories about that with us. He talks about how it impacted him. And also, what has propelled him to go beyond just the Mr. Thank You Note project. So without further ado, I give you the one, the only, John Israel. Well, today on the Practice of the Practice podcast, we have John Israel, also known as Mr. Thank You. He’s on a mission to elevate the level of gratitude on the planet by 1% by inspiring 74 million thank you cards written all over the world. In October 2016, John kicked it off by writing five thank you notes a day, every day for 365 days. The mission transformed his life, family, community, and business. His stories have been featured on ABC News, Fox News, Pop Sugar, Martha Stewart, and Good Morning America. And now he speaks all over the country talking about this and a variety of other things. I met him at TEDx this spring. 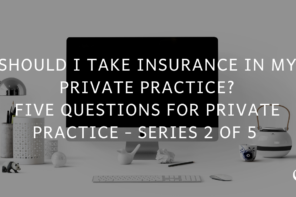 John, welcome to the Practice of the Practice podcast! [JOHN] Hey, thanks for having me, Joe. [JOE] Yeah. It was awesome meeting you at TEDx. And why don’t we just start with that story of how you decided to start writing thank you notes. [JOHN] Yeah, so for me it all started as kind of a derivative out of my business. You know, by trade, I am a gratitude salesman which means that I work in the corporate gifting world. So, when companies or organizations or small businesses want to do a gifting campaign to their favorite clients or employees. You know, on the holidays or on anniversaries or on different things like that. 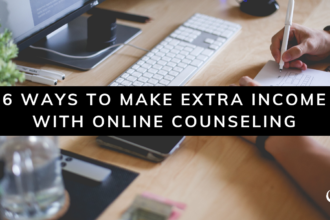 I step in and I help consult in setting up a plan for them to do that effectively. So I have been working in the same company for about 16 years in doing that. You know, it was the whole Mr. Thank You project started because I was this gratitude salesman who wasn’t very grateful. I was at a unique stage of my life where I was successful business-wise but personally, I was in a very dynamic time in my life where my wife and I, we had our first child and she was pregnant with our second. We just bought our first home and my wife had decided to leave her job to become a stay-at-home mom. That was a mutual decision and we are both excited about it yet at the same time as the sole provider for the family, that was the first time in my life that I was now responsible for kind of everything and everyone. So it put a lot of pressure on me or at least I felt the pressure. From that, I was just very stressed out and unhappy. And it is kind of funny because here I was this gratitude salesman and you know if you ask a hundred people who know John Israel, “What do you know about him?” They might say some nice things, you know, like successful and driven. But I don’t think they would say the words grateful or appreciative, probably even happy because I was just working so much. I kind of realized that I needed a change and I did what a lot of people do. Kind of funny enough how we met, Joe, which is through Ted. I went on Youtube and I researched TedTalks, you know, inspiring TedTalks. Simon Sinek, his famous Start With Why message popped up. [JOE] Such a good talk. [JOHN] Yeah, it really changed my life in just understanding the simple concept of people don’t care what you do, they care why you’re doing it. And you know, on the business side, people don’t care what you sell, they sell why you are selling it. So for me, when I was just starting to consider my life and my business, it’s like “What is my Why?” And if I was being honest, my why at that moment was survival. It was getting by, you know, impact the world in some manner. So I didn’t think I was really inspiring anyone or especially myself so I tried to think of it what’s the purpose that I could be driven by that might motivate me and might inspire my clients. So on this topic, gratitude, I just thought what if my mission was to elevate the level of gratitude on the planet. I was like, “It sounds good. That sounds inspiring.” And then in the process of kind of building out this mission statement for myself, I also heard this other story of the guy who tried to change the world. Have you heard this story, Joe? It is like an old Buddhist proverb. [JOE] I believe I have heard it but I don’t know if our audience has. So, better dive into it. [JOHN] Okay, yeah, I’ll share this because this was a very profound statement. For any of us who are out there, we want to change the world and many of us doing our businesses and our practices and we want to make an impact and so this story was really profound for me as well. And it goes like this, so, there’s a man who tried to change the world. As he set out and tried to do so, he realized the world was so big that he couldn’t do it. So then he steps back and said, “What about my country? I can change my country.” So he got involved in politics and government and tried to do so and still found he couldn’t make the change he was hoping. So he thought about his city and he was like, “Well, I know a lot of people in my city. I can affect change there.” So he tried to do that for several years and found out still he couldn’t create the change he wanted. He thought about his family and he was like, “That’s my family. I see them every day. I can change my family.” And as many of us learned, he can’t exactly change his family. And he stepped back even further and it wasn’t until much later in his life that he realized the only thing he had control over changing was himself. And in effect by changing himself, he could change his family. And by changing his family, he could, you know, ultimately change the city. They could change the city, and the country, and the world and that’s how he would effectively be able to create change. So I heard this story. And I took it very literally. And I thought if that’s true, and I’m this guy who says he’s committed to elevating gratitude on the planet, how can I elevate my level of gratitude to effectively be that impact in the world. So, I thought like what are the simple habits, things that I can implement every day. And so I thought what’s my greatest experience I have of seeing gratitude expressed. And I just remembered this period of time where my wife got really committed to writing thank you cards and I just saw how impactful it was on her and our community, and just how much love started showing back up for her that I was like, “All right, well, you know, it’s not a very masculine thing to do – to sit down and write a bunch of thank you cards” But I thought, let’s make this a challenge. So, I committed to writing five thank you cards every day for 365 consecutive days, really to kind of figure out, to see how this might impact my life and elevate my level of gratitude. And you know, the kind of interesting thing, you don’t even need to know necessarily what happened to just realize that when you make a big commitment, anytime you make a big commitment in your life, an adventure emerges. And that’s really what showed up for me the following year. [JOE] So, can you tell us some of the stories in TEDx and we’ll embed that video into the show notes? But what are some of the stories that really transformed you or really transformed other people? [JOHN] Yeah, I was very fortunate to have some kind of immediate success in the respect of feedback from the project that really motivated me to stay on course with it. And the most impactful one, at least initially, was on day three where I was boarding a plane from California, from Los Angeles specifically, to Philadelphia. So, it was a pretty long trek and I had two legs of a flight. And I was boarding this plane and I was thinking, “Okay, who are the five people that I’m going to thank today?” And it is kind of an interesting question because it just in doing so, in thinking who am I going to appreciate today, you just become a good finder. You just start looking for the goodness that people do or some level of contribution. You just kind of like a magnet for it because you are looking for it. [JOE] Well, that’s kind of counter-intuitive to how a lot of people think. I think, you know, if we are on a plane, we have this posture of all things aren’t going to go right. And our drink is going to be late. So, what a different shift! Just a right way of giving a good finder. [JOHN] Yeah, I would say that was a subtle key that really was just stuck with me throughout the whole year because every single day I have to find five people to appreciate. So, as boarding this plane… By the way, this is actually relevant to the story. I was flying to Philadelphia for something called the Front Row Dads retreat. [JOE] …which I am coming to in Miami in October. I just signed up. [JOHN] That’s awesome, man. So, the Front Row Dads, for the listeners who don’t know, it’s a group of entrepreneurial fathers. And we get together twice a year to talk about how to become better husbands to our wives and better fathers to our children. All while running successful businesses. So, this is a very important group for me. And I was excited because this was the very first event that we have ever done. [JOHN] Yeah, I’m probably the first person ever who has asked for the pilots’ names. It was awkward but it is okay. They gave me the names then I went to my seat. So, I sit down and I kind of post a very interesting question which is “How do you appreciate somebody that you don’t even know?” Like how do you acknowledge someone that you have never met? So, it was kind of a unique challenge because I didn’t know what to say at first. [JOE] For the most part, yeah. One of them, I wrote to my Starbucks barista. That’s actually a pretty funny one. If you search for me on Instagram, @themrthankyou, you will see that card I posted because it was kind of a funny one. So, yeah, I did write mostly to people that I knew and one total stranger. That just blew me away because these guys have such significant, such important jobs, so much is on the line, and people aren’t appreciating them. They are not getting that acknowledgment that I think they deserve. And I thought if it is like that for these guys, what about everybody else? Everybody else in their jobs, everybody else in their relationships, people are really getting the level of acknowledgment and appreciation that they deserve. So, that kind of blew me away as kind of an initial experience. [JOE] Awww, men. Well, what I love about that story is how much you have to get in the mind of what that person is experiencing. So, often, whether it’s a pilot or a police officer or the barista serving you your coffee, we just see people in those roles like you’re a cop, you need to do your job, you’re a barista, do your job. And instead of what is this person has to sacrifice to serve me and there are so many people around to serve u, it just seems like your antennas for just how grateful we are that there are people that can make coffee for us or can protect us or whatever it is. It just seems like it can’t help but change you. [JOE] I’m about to peace out and go home. [JOHN] Yeah, exactly. She was the only waitress so she had no choice but to serve us. So, what was really interesting is that she brought us to the back room where we had a private room so we wouldn’t disturb all the other patrons. We were back there and you know what? Her name is Shante. Shante went up really warming up to us and just did a phenomenal job. She was cracking jokes with us. She knew how to work for the crowd and we just had a great time and got all our drink orders, all of our food orders correct. She took care of us until literally closing time which was like 1:30 in the morning. So, we were closing up and I realized Shante is my number 5. She’s my final card for the day. So, the same thing, thinking about like what must it be like for Shante and I sat down and I wrote this card. So, I wrote this card out and I walked over to Shante who’s now sitting at a table kind of cashing out her tips and everything for the night. I hand her the card and she accepted it awkwardly as most strangers do when I hand them a thank you card. As I’m walking away, I realized I should go to the bathroom, we got a long walk back to the hotel. So, I turned around and go to the restroom and as I am walking out of the restroom, Shante is standing there waiting for me with her head cocked to the side and the screen on her face and she runs at me and gives me the biggest bear hug of my life and says that’s the best tip that I have ever been given. And then she sets me down. [JOE] That’s my favorite part. [JOHN] She literally picked me up. It was hilarious. We just sat there for a moment and we just looked to each other in the eyes and we just got each other. It wasn’t a customer and server. It was just a human being and a human being. Seeing each other for their greatness rather than just some stranger doing their job or some customer showing up to get what they need. [JOE] I think I have had great service in so many different restaurants and I’m not sure I can even name one of my servers’ names. You know, even just something that simple where it’s like you know Shante’s name. She has impacted you and continuously impacts people through the story you just told. To me, that is just such a shift in… Not that we need to go deep with every single person but just that you’re sharing these moments with people over the year. It is just such a profound shift in the way that most people approach life. [JOHN] You are right on with that, Joe. The big thing that I really learned from that experience is that people value more than money. 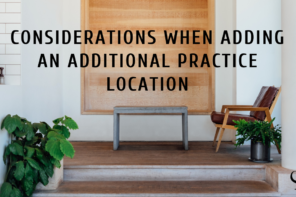 And this is really important for people who may run a practice, who have a staff. 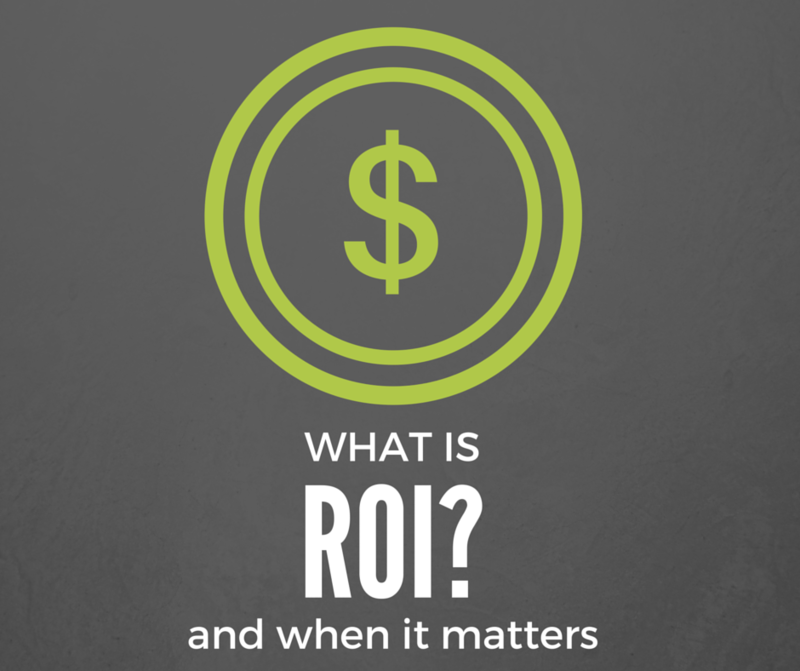 What people value more than money is being seen as valued and understood. That’s what Shante got. Why would she get a thank you card…? By the way, we gave her a huge tip. I mean there’s forty of us, right? We gave her a huge tip. Why could she get that big tip and get this thank you card and say, “This thank you card is the best tip I’ve ever been given.” This is because people value being seen and understood more than money. And that was such an important skill. Not skill but such as an important value and experience to have because I just saw there’s so much value here in how we treat employees, how we treat customer service people, how we treat our spouses. One of the biggest reasons people leave their relationship or leave a job, “I just don’t feel like they appreciate all that I did for them. I just don’t feel like they really see how much struggle I put up with just so that we’re successful or so that this relationship works.” So I thought, “Okay. I’m going to not allow that to happen for people that I come in contact with for this entire year.” If I have the opportunity to acknowledge and appreciate someone, I’m going to take off. I’m going to take that as an opportunity to do so. [JOE] Now, when that year came to a close, in that week after the 365 days, what was going through your mind, your heart? How were you transformed? Was it weird enough to writing as many thank you notes? [JOHN] That’s a great question because people often ask, “So, how did it go with when the year is over?” Because it ended in October. It started on October 10th of 2016 and it ended on October 9th of 2017. And then people say, “Well, did you keep doing it? Did you keep writing your 5 cards?” And my answer is no. I actually stopped immediately. I didn’t write any cards for about 10 days because I was, “No, everyone. I’m good.” I’ve written a lot of cards. Let me take a break right now. But this is actually a more important part to understand. I’ve stopped writing cards so I could start writing the most important thank you card that I’ve ever written for my entire life which is the book. The book chronicling the experience because what I found, you know, I’ve been very fortunate in my business that people have heard about the people and got featured on the news. That kind of opened a lot of doors and I started speaking at conferences and sharing the story. A lot of people started, you know, just saying, “Hey, man! Since I heard what you’re up to, I started writing thank you cards every day. I am writing one card every day.” I got an email from a student who said, “Man, I was so inspired by what you did. For Christmas, I couldn’t afford Christmas gifts so I literally just wrote a thank you card to everybody in my family that mattered to me. And it was the best Christmas gift I have ever given to anybody because it opened up all this conversations and dialogs that I have never had with people. So, I just started to see like, “Wow! This story impacts people.” So, I’m going to take the responsibility to get that story out. So, I still did write probably at least another hundred of thank you cards over the next six months. But I spent most of that time really crafting the book and getting the stories down so that I could start sharing them. That what I want spending most of that time doing. But now that the book is done and complete, it is kind of funny because I don’t write five cards every day. But I mean I sit down and I’ll write 11 thank you cards because I just have 11 people I really want to acknowledge and appreciate. So, it kind of comes in ways. Now, I see the importance and significance of it. I don’t do 5 every day. But I do make it a point to write way more thank you cards that I have ever done my entire life. [JOE] Wow. So, when things start to kind of take off with the news and getting on these like larger networks, did you expect that or hope that that would happen? Did it totally blindside you? Because I know people that listen, a lot of them has this really big idea and then they don’t know what to do after they do the idea. Or they want to move towards getting some message out nationwide or worldwide. And I’m sure they would love to hear like how did you kind of get on to the bigger news? What was the impact? Just kind of more of that backstory. [JOHN] Yeah, it is a great question because my first answer if you ask me in the middle of it, I would say I don’t know. I didn’t ask for any of it. This is the catalyst. I was literally 3 months into the project. Aside from the first post of the first thank you card that I wrote, I really didn’t tell many people about what I was doing because I thought of it like, “Oh, this is a big challenge I’m doing.” A lot of people talk about, “Oh, January first. This is a different year so I’m going to work out every day.” And then they will go to the gym like three days in a row then you don’t see anything anymore. I just don’t want to be that guy in case something happen with the project. Not that I thought it would but I want people to see what was going on while it was going on in the middle of it, not in the very beginning. [JOE] Well, a brain research also shows that when you start telling people about something that you are going to do, the brain lights up in those parts that reinforce it as if you had actually completed that task. So, telling a bunch of people actually often will work against you completing those goals. So, keeping it quiet often times will help you complete the goals way faster than if you don’t. [JOHN] Yeah. I would a 100% agree with that because I have had other goals where I have tried and cheered with everyone in my Facebook and then it just kind of disappeared. So, what happened was that I basically stopped. I didn’t share with anybody but I have a slight people who knew about it and one person was like, “Hey, this is really interesting. I’ve got this event coming up. It is for entrepreneurs. And I’d love for you to come up and share this story and tell everyone how it is affecting your life and affecting your business.” So, I get up there and I didn’t really know what I was going to say. I was just like, “Alright. You know I got some interesting story so I started sharing some of them.” And it just really just impacted the audience because I was getting tons of the feedback later. I walked out of that event and I got like 12 thank-you cards handed to me by the end of it. It was really funny. And it was mostly a bunch of entrepreneurial dudes which, again, is kind of interesting because writing thank you cards is not really a masculine tray. It was just so fascinating to see guys connecting with this desire to really acknowledge and appreciate what they see as good in the world. As well as other people. There are women in the audience too. But I got this feedback and out of nowhere, a few weeks after the event, I got an email from a woman at Pop Sugar. She’s popsugar.com which is one of the largest online women’s blogs. And I have never heard of it. 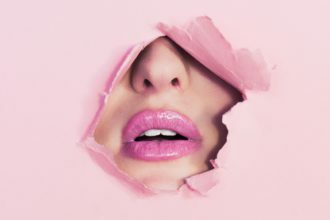 But after researching, I saw that they have like 2.3 million Facebook fans and I was like, “Holy cow, these guys are pretty big.” So, they reached out to do an interview on Habit Formation because they were coming out with their New Year’s Resolution article and they wanted to feature me. I was like, “That’s fine.” So, they interviewed me, and that article went live. It got shared several hundred times all around the world. That kind of blew me away. But, I wind up on this newsfeed that is I guess some back-end area where all the other news channels search for other stories. And then, ABC saw it. They reached out and said, “Hey, we saw what you’re doing, and we’d love to do an interview with you as well and kind of hear more about your project.” And so, then, I interviewed with ABC. And then, Fox News heard about it. They’re like, “Hey, we like to interview you live on TV on Fox Phoenix.” I was like, “Oh, my god.” Radio stations and all sorts of things just started flooding in. Because I think what was unique about it is, and this is what I would relate to a business or company or a brand, is to really know your story, and to know how to crap it in a manner that people are inspired by. Because I didn’t have a business that was selling, I didn’t have anything else trying to promote, I was just to do who had an idea about expressing more gratitude in this life. I was really passionate about it. And just from merely sharing that story, it’s the story that connected with people. That was spreading so much around the country and around the world. They’re in a couple of articles in the UK and all sorts of stuff opened up. So, that was what I would relate to. In kind of now, looking at it, that’s what I would say is probably wind up to happen because I didn’t ask for it. I wasn’t seeking it. And, it was just sharing my story authentically with what we’re up to and contributing to the world that really inspired people to take note of it and want to highlight it. [JOE] It’s interesting to say the patterns between people that have that kind of success. You know, having a podcast, it’s nice because you get to interview all these interesting people. But, it seems like more times than not, there’s some basic planning that goes into the idea but it’s usually pretty organic where it starts with I want to change something in my life. And, for me, I need to write more thank you notes and have more gratitude. That’s probably going to help somebody else, versus how do I get onto ABC. Starting with, you know, it’s just compelling to you and is interesting, and is changing things for the better in some small way. And so, I think people oftentimes will overthink it too, and feel like they have to plan out every next step. What I’m hearing from your story is you did the good work, you did it consistently, you shared it with a couple of people that you trusted that you’re close with. And then, as things came in, what were the opportunity is they came up. [JOHN] Yeah. I mean that’s the nature of what organic growth is. Organic growth, you know, specifically with organic fruits and vegetables, it’s very simple rules, you know, organic soil, that’s like it’s just normal dirt. But, it just hasn’t had things added to it – pesticides for a time. I used to plant a seed and then with just that organic feel that you plant it, that’s where the growth comes from. I think that’s what’s important for people. It’s not to try too hard. You can hire a PR but just really be committed to your story, be committed to your mission, and have a platform from which you express that. For me, that wind up being like on stages. I love storytelling and I’m no stranger to standing in front of a couple hundred people to share those. I do that a lot in my business. It wasn’t a hard thing for me. But, some people, they’re more natural with what they’re writing. Or, they’re better on video, or whatever. And, that’s where they can contribute and share their stories. 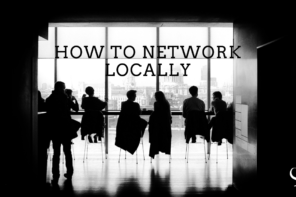 I think to find the platform from which you can most authentically share your mission. Just do that consistently. Do it even if… it’s like the seed that you plant in the ground. Even if you don’t see anything for a couple of days, or a couple of weeks, or a couple of months, because you won’t most commonly. And then, it will start to sprout and you’ll to see the organic. But, it just feels better. You’re not thrown to make it grow because it’s kind of something that it’s not. You’re trying versus seeing the world to really adapt and connect to what you care about. [JOE] Yeah. After this project, you started kind of a salesman of gratitude. But, it sounds like speaking became a big part of a kind of what you do. How much did things shift away from the corporate gifting versus speaking? Talk about maybe how that shifted? [JOHN] Yeah. I still very much have my bread and butter job. So, I still work for the company which is called Cutco Closing Gifts. I work specifically a lot on real estate market. Those are my clients. And so, I speak a lot of you know, national real estate shows and go-to events. So, I think what really shifted for me was just in the time priorities because a lot of demand showed up. I like 2 months where I basically took off work because I had to. The book was coming out. We had the TED Talk, which is where we’ve met. Right after that, I was invited to speak at the National Stationery Show, which is where like Hallmark and all the big greeting card companies get together. They invited me to come on and share their story. And again, similar thing, I didn’t ask to speak. You know, I reached out to get a ticket because I’m curious about the greeting card industry. I put in a request. And then, they looked me up on my website. They called me and said, “Hey, what you’re doing is really interesting. We’ve never seen anything like this? How can we involve you in the event?” I was like, “Oh my, gosh.” It was just, you know, I had to take some time off of work to really focus on the launch. And now, that it’s launched, I got another several months where all the, you know, grind in pretty heavily with work. But, it’s all strategic. It’s all planned out where I know we’re going to go in waves of the business of Mr. Thank You and what we’re building with that, and then, the business of my other work with my clients and all that. So, we’re kind of doing both but we’ve also built out the model which is the platform from which we’re really communicating our message to the world. [JOE] Yeah. I mean I’m interested because we’re both dads and both committed to being good dads. How do you find that balance with all these projects and also being present with your family and doing adventures and all of that because I think that’s something that a lot of parent’s trouble with especially when they have their own business? [JOHN] Oh, 100%. This actually goes to one of the biggest lessons I learned from the Mr. Thank You project, which was a question, which is how do you treat that for which you’re grateful? Because I can sit here, and I can write a letter to my wife, which I did, about what I love about her, how much I appreciate her and how grateful I am that we got together all those years ago. Here we are today. I could write about that. And then, how do I treat her the next day? Am I acting consistently with this gratitude that I tell her that I have? Or, do I just go back to “I’m just busy. I got to work.” So, it was a real challenge like I remember there was a specific day. [JOE] That’s the worst feeling. As a fellow coffee drinker, both I and my wife worked in coffee shops. That’s like the worst. I just felt terrible. So, I’m leaving and I’m going to go get my coffee. I’m going to take care of me. In the Starbucks line, you know, 10-minute drive from the house, I can’t believe I’m doing this to her. The thing is I didn’t have that much time to spare because, in Dallas, the traffic was horrible. And so, if I left, 10 or 15 minutes later, I would add 30 minutes to my commute, which would make me late to my client. I wasn’t okay with that. And, I just realized also that I just wrote this thank-you card, telling my wife how much I love her and appreciate her, and here I am leaving her hanging, high, and dry. I just realized, I can’t. I can’t tell her how much I love her and then act inconsistently with that. So, I sucked it up. I got two black coffees. I drove home. And, I was going to let myself be late. I’ll call my client and let them know I’ll be late. [JOE] I think when you zoom out from that, it seemed like well you got your wife and you got your client. It just feels like it’s such a great example because people can say, “Oh yeah, we take two weeks off a year, so we can go on vacation together or we make sure we go away for our anniversary.” We do date night every week. Those are the moments when you’re going to be late to a client and you’re going to lose professional face or have to talk to them versus get that cup of coffee. Be late in traffic and give it to your wife and make sure she really does matter and is number one. Those micro-decisions that over time just show the truest expression. I love that it’s that simple of a cup of coffee and being late to a meeting that you use what it means to be a parent and a husband when you’re an entrepreneur. [JOHN] Oh yeah. And then, Joe, one thing also with that is when you consider the “How did I feel?” Think of it this way. 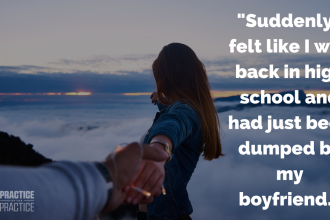 “How did I feel in walking to that client meeting now, knowing that I did this awesome thing for my wife rather than if I didn’t do this awesome thing for my wife and I got to drive to that appointment feeling guilty, feeling like I let her down, feeling like I wasn’t as great as a husband as I could have been?” How does that going to affect my day going in with that energy? [JOE] Well, how would you have felt if you were sitting there on time? They were half an hour late. I could have gotten that cup of coffee. Dang, it. And then, you’ll be frustrated not only with yourself but with the client for being late. That letting you know, I mean, I love that example. That’s awesome. Well, where can people get your book? [JOHN] So, the book is titled The Mr. Thank You Project: A Journey to Elevate the Level of Gratitude on the Planet One Card at a Time. That’s available on Amazon. You can pick it up there. Also, can I give something to your listeners? [JOE] Yeah. That’d be awesome. I love free stuff. [JOHN] Great. Sounds good. So, a lot of times… It’s funny. Some people respond to hearing about the project and say, “Oh my gosh. This is so great. I’m going to do that. 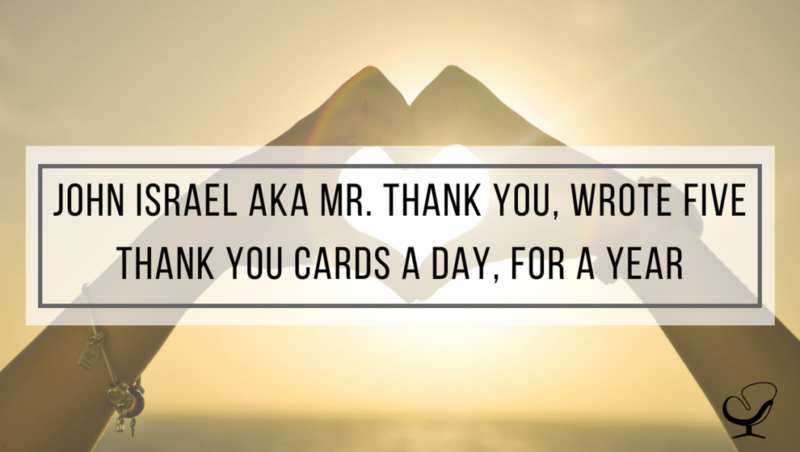 I’m going to write five thank-you cards every day for a year.” My reaction is, “Don’t.” It’s really hard unless you got a huge database or a major reason to do this, you don’t need to. And so, what I always tell people is the best thing to do right now or your first step is to do a 30-day challenge. Commit to writing one thank-you card every day for 30 days. So, I made this little PDF. It’s a 30-day challenge. It goes to mrthankyou.com/30 and downloads a free PDF that’s a couple of pages on how to have a 30-day challenge with writing thank-you-cards. I put some samples of like: Here are some types of cards you can write. Here are some things to think about. Here’s a place you can list out who you want to take. And, that’s really going to help you start with something simple that you can get some results with. [JOE] That’s so awesome. We’ll put all that in the show notes as well as that Simon Sinek TED Talk, your TED Talk. We’ll try to find that Instagram picture and embed that in the show notes as well. The question I always end with John is every practice owner in the world were listening right now, what would you want them to know? [JOHN] Well, it’s not specifically my job, right? Like, I don’t run that type of business but what I can tell you is it’s a business. And, there’s a lot of consistencies and relevant information that crosses borders. What I would say is we have clients. We have employees. And, we have vendors. Think of it as a triad. While they’re each of those things. They are clients. They are employees. They are vendors. We have a perception of who they are and what they do like clients pay us, vendors bring us stuff, and employees do their job. But, I think when we can look a little deeper and see the humanness that people are and consider those things in our communication, whether you write them a thank-you-card or not, but realized, they are a human being just like you who has a family at home like you, who has goals, who has aspirations. When you can take the time that you consider that that’s true, just notice how differently you start considering and treating people when you realize that they’re just like you. That’s one of the most profound differences that I think that when you start to do that, you create such a deep level of loyalty and love and affinity that people would literally go to bath for you, to rally behind if you need something last minute, we’ll do it because they get that you love them and appreciate them beyond just their job and their role. That is a game-changer when it comes to being a business owner and you’re going through tough times or you want to grow the business that you have fans in the audience. Not just clients, not just employees, not just vendors but all of them, they all matter collectively to helping you be successful in your practice. Keep that in mind. Your next interactions you have and maybe start off with just getting to know them a little better, so you know how to serve them better. [JOE] What awesome advice, John. Thank you so much for being on the Practice of the Practice podcast. If you want to check out more of what John is doing. Head on over to mrthankyou.com. If you want to join that challenge, go to mrthankyou.com/30. John, have an awesome day. [JOE] So, what are you going to do today to have more gratitude, to show kindness, and love, and appreciation for those that are around you? Maybe you expect to give to but also to those that maybe you don’t. You just see the role of a barista or a server in a restaurant. And again, thank you so much to Therapy Notes for being a sponsor also. They are the best electronic medical record. 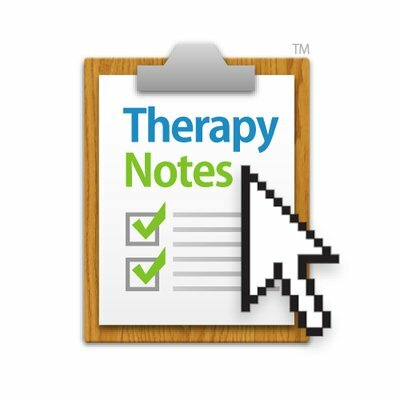 If you head on over to therapynotes.com, use promo code joe18 to get that freebie. We would love for you to go over there and get your medical records all sorted out. Thanks for letting me into your ears and into your brain. Have an awesome day.